K9 Demo Team - Peace River K9 Search and Rescue, Inc.
Want the Demo Team for your event? Just click the link below and let us know when! ﻿Would you l﻿ike to me﻿et the PRSAR Search dogs in person and see them in action? The Peace River K9 Search & Rescue Association maintains a demo team for the promotion of Volunteer Search and Rescue. You may make a request for the Demo team to perform at your event--we love to meet our community! However there are a few things we need to know before we can schedule your event! 1) Will you need us to set up a display and for how lo﻿ng? 2) Will other pets or animals be there? 3) The team can demonstrate Search Abilities, Obedience, Agility and Scent Work and also offers a protection phase since some of our K9’s are Protection trained. Would you like the protection phase also? 4) The K9 Demo portion needs about a 50’ x 50’ area to set up the agility equipment. 5) The K9 team does a Meet & Greet where there is no actual Demo. 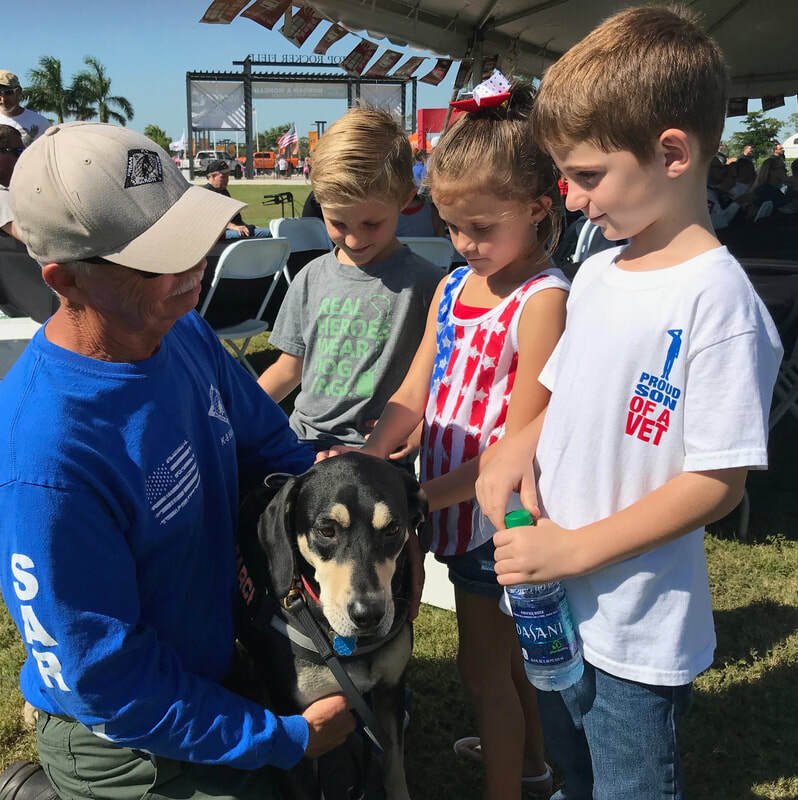 This is a great time to see our Static Display, get a friendly kiss from the dogs, have the handlers answer questions or pick up a K9 trading card! Please let us know the details and we will be there for your event! You may email us by clicking the button below and we will get right back to you!